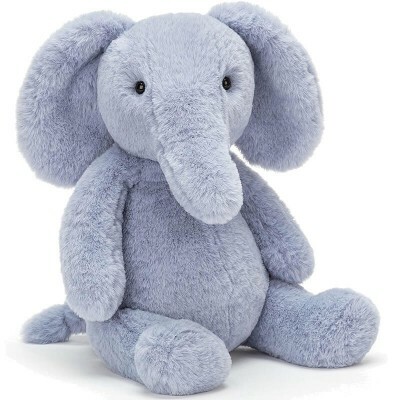 Sound the trumpets - Puffles Elephant is in town! 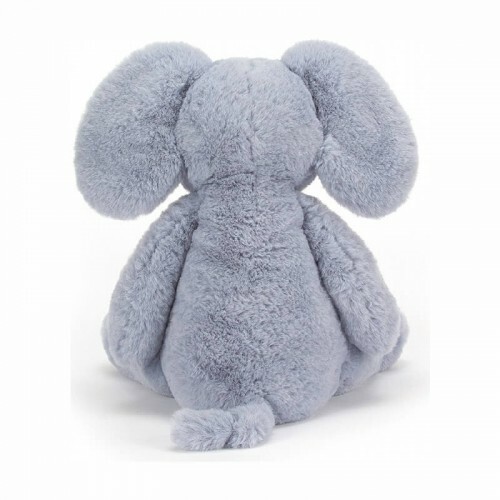 Baby-blue and cloudy-soft, this loveable elly has the scrummiest belly, and loves to tumble around the garden. With a beany bottom and huggable trunk, our bubbly elephant sits so well, looking pastel-perfect at any picnic!